It’s almost 2016. I don’t know why I’m so pleased except that 2015 was not the best year I’ve ever had and I’m hoping 2016 spurs me into action. I’m usually a goal orientated person. I like to plan. I planned last year and it all went to custard, so my resolution for 2016 is NO PLAN. Boy, that’s liberating. I’m going to toddle along and see what happens. I’m hoping this means less stress, and that if I have to do something on the spur of the moment it’s not going to disrupt anything, as I’ll have nothing planned. Of course I’ll have to ensure I fulfil my writing commitments but other than that I’m a free agent. The one resolution I will make is I’m not buying any NEW clothes in 2016. My wardrobe is overflowing and I’d rather buy more ebooks! I’m also not going to be traveling to the USA this year. It’s the first time I won’t be going in a long time. I’m in saving mode this year because there are a few things I’d like to buy for the house. I’m hoping to write more books in 2016 than I did in 2015 but again NO PLAN. I’ve got three more Disgraced Lords books to write – that’s right – Arend’s story is book #6 but I’m going to write Helen’s story and also Philip and Rose’s story. I’l be a busy girl….hence why no overseas trips in 2016! Doesn’t my 2016 sound boring. I don’t think it will be. I have my lovely agent, Sarah Younger, coming to NZ for the RWNZ conference which I will be attending. I’m hoping to show her round the country a bit, it’s just a shame it will be during our winter! I’m also planning to have a few plotting weekends with some of my fellow Book in 50 Days writers. A loop I organise and run with Gracie O’Neil. We usually hire a house somewhere in NZ for a long weekend and plot and talk writing. It’s a fun girls weekend while also concentrating on work. AND in March I’ve been invited to be on a panel with two other NZ romance writers, Yvonne Lindsay and Jackie Ashenden, at the NZ Festival Writers Week. I’m thrilled to be invited and we are all thrilled that the literary world have started to include romance authors in this festival. So, enough about me and what I have planned for 2016. What are you up to? Do you set yourself New Years resolutions? If so what are they? What ever you are up to on New Years eve, I hope the night is fun! 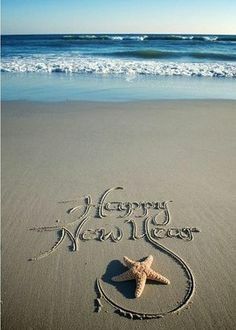 Be safe and healthy in 2016 and I look forward to chatting with you, sharing stories and gossip in 2016! Happy New Years from New Zealand. Happy New Years and thanks for great reads:-) I’m planning to follow my daily plan in my notebook every day so I can complete my projects instead of having several unfinished projects at once. That sounds like a plan! Good luck.